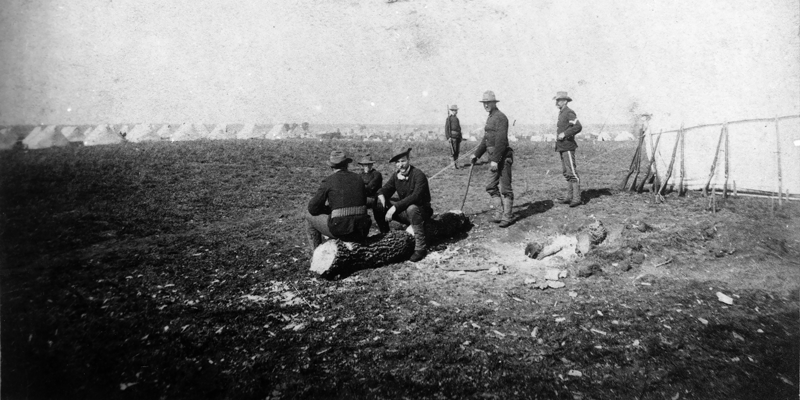 Two days before the Land Run in April, 1889, President Harrison set aside a Military Reservation of 160 acres east of the Santa Fe railroad depot, where soldiers were stationed to keep the peace. 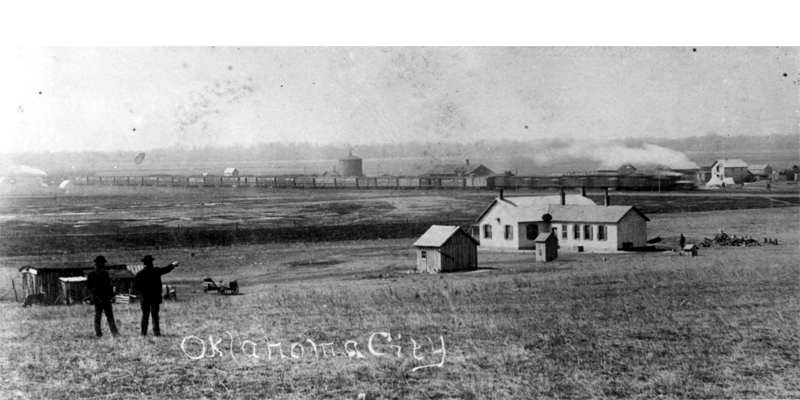 In 1886 the first railroads were built through Oklahoma. Coming south from Kansas and north from Texas, the Santa Fe lines joined in Purcell, Oklahoma (in the Chickasaw Nation) in April, 1887. Thirty-five miles north of Purcell, the Oklahoma Station became an important stop. 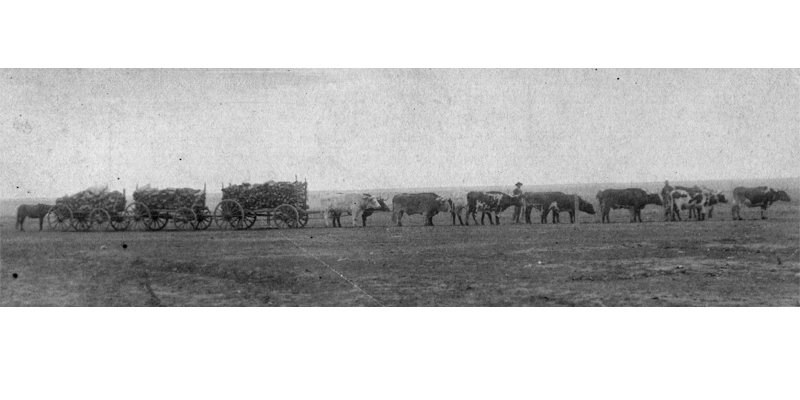 It served the military at Fort Reno, nearby Indian agencies, and ranchers transporting cattle from Indian lands in western Oklahoma. On March 23, 1889, President Benjamin Harrison proclaimed high noon on April 22 as the moment when settlers could legally enter the Unassigned Lands. By mid-April, the stockyards, side tracks, and depot facilities at Oklahoma Station were ready for a massive influx of settlers. On April 20, President Harrison issued an executive order creating a Military Reservation of 160 acres east of the Santa Fe tracks and north of Reno. Soldiers under the command of Captain D. F. Stiles were stationed there to maintain law and order among the expected hordes.